Joe Flacco, Baltimore Ravens – Flacco is being called doubtful for Week 11 against the Bengals, and is most likely going to miss this contest. Just a week ago, Flacco was seen on crutches as he deals with a hip injury, so he never really had a chance to play in Week 11, especially given that he didn’t practice at all this week. Lamar Jackson and Robert Griffin III are expected to take the snaps for the Ravens on Sunday. James Conner, Pittsburgh Steelers – Conner entered the league’s concussion protocol after Thursday Night Football last week. However, he practiced in full and didn’t experience any setbacks, so he is good to go for the team’s Week 11 game. Fire him up with confidence, as per usual. Darren Sproles, Philadelphia Eagles – Sproles continues to battle a hamstring strain and isn’t practicing. He’s still a few weeks away. 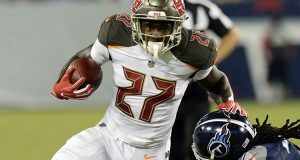 Ronald Jones, Tampa Bay Buccaneers – The rookie out of USC has been ruled out again for the team’s Week 11 contest. 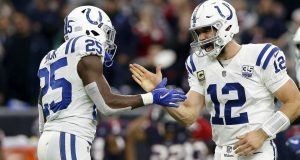 He has been battling his hamstring strain since Week 8 but finally returned to limited practices this week, indicating he may be getting close. Look for Jones’ status to be updated next week. Royce Freeman, Denver Broncos – Freeman is set to return from a high ankle sprain this week after being removed from the team’s injury report. He will slide right back into his timeshare role alongside fellow rookie, Phillip Lindsay. D’Onta Foreman, Houston Texans – Foreman was finally activated from the PUP this week as he continues to attempt to return from his Achilles tendon repair surgery from last year. 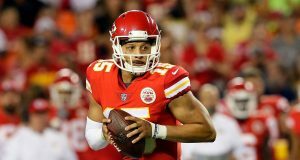 He now has three weeks in order to be activated to the team’s active roster, or he won’t be eligible to play at all this season. Continue to monitor Foreman’s status moving forward, but if you’re excited about him for 2018, I’d temper expectations. For a more detailed explanation as to why that may be true, check out my article from last season highlighting Foreman’s injury. A.J. 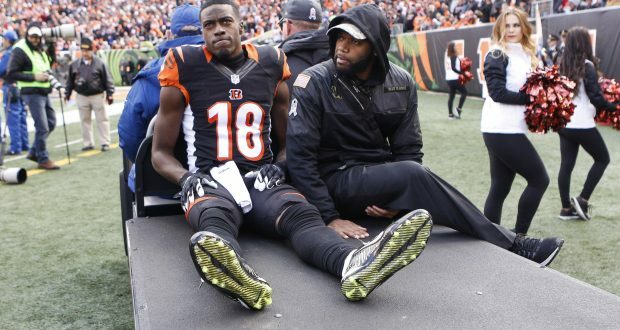 Green, Cincinnati Bengals – Green continues to battle a toe injury, which has sidelined him for the past three weeks. The Bengals have listed him as doubtful, but he should be treated as out. He hasn’t practiced at all since his injury occurred in Week 8. If I’m a Green owner, I’m planning to be without him for Week 12 as well, despite all of the optimism from head coach Marvin Lewis. Marvin Jones – Jones is currently dealing with a bone bruise in his knee and won’t play in Week 11. He didn’t practice at all this week, so his status for the Lions annual Thanksgiving game can’t be taken for granted. Look for an update regarding Jones’ status next week. Taywan Taylor, Tennesee Titans – Taylor has been battling a left foot sprain for multiple weeks. I’m not expected him to play in Week 11 against the Colts despite his questionable tag. He hasn’t practiced for two weeks, so this injury designation might be a bit misleading. I’d be shocked if he plays. Keke Coutee, Houston Texans – Coutee has been battling a hamstring injury for the majority of the season and continues to be limited. Coutee has been vocal that he won’t return until he’s 100% healthy, so I’d be surprised if he plays this week. He is expected to test the hamstring during pre-game warm-ups and be a game-time decision. I wouldn’t rely on Coutee for Week 11. Sammy Watkins, Kansas City Chiefs – Watkins was held out of Week 10 with soreness in his foot, and at the time, this was not expected to be a serious injury. However, it’s worth noting that Watkins has a lengthy history of foot injuries, including two surgeries for a Jones fracture. This week, he was downgraded to a DNP on Friday, which is not a good sign in my opinion. He practiced on Wednesday and Thursday, so a downgrade is definitely concerning. It’s possible this was just a maintenance day, so watch the Saturday practice reports to get a better sense of Watkins’ availability for Monday Night Football. Jordy Nelson, Oakland Raiders – Nelson is out for Week 11 with a knee injury. His injury appeared to be a quad contusion in Week 10, but the specifics of his injury are unknown at this time. Regardless, he didn’t practice at all this week, so he may not be available for Week 12 either. Tyler Kroft, Cincinnati Bengals – Kroft had been attempting to come back from a foot injury for the majority of the year, but he wasn’t able to get back on the field. He is undergoing surgery on his foot and has been placed on injured reserve.